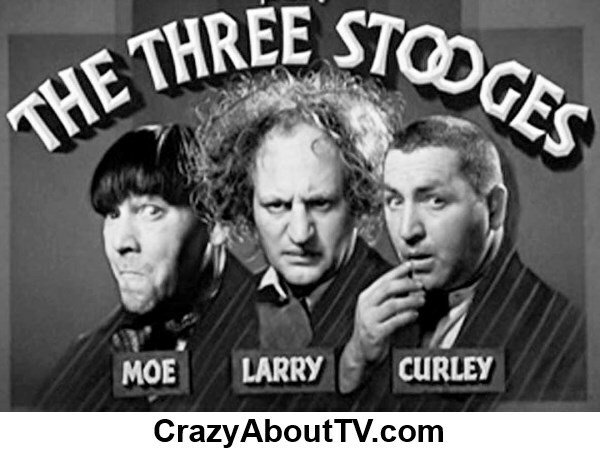 The Three Stooges were a comedy act who made numerous short films, specializing in slapstick, which were perfect for reruns on television. They also appeared in feature films for a total of well over 200 films in all! Their act began in vaudeville and then they began making films in the early 1930s! These films were the perfect length for a new medium that was begging for something to air ... television. 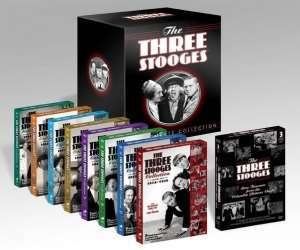 In 1959, Columbia Pictures offered the entire Three Stooges film library to the networks through its subsidary, "Screen Gems" and suddenly, the Three Stooges were a hit with a whole new generation! The Complete Series on 20 Dvds! Thank you for visiting our Three Stooges Short Films page!